“Should I stay or should I go”…. For all our British friends who are contemplating a move to Frankfurt and all our Frankfurt friends who like to be surprised by their city, “FRANKFURT FOR BEGINNERS” offers funny and slightly unusual insights into “Germany’s most international City”. 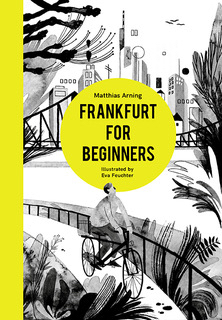 This book in its newly published English version is the perfect companion for new arrivals and firm Frankfurt lovers.